$500 to a graduating senior from Salem County who has excelled in art. 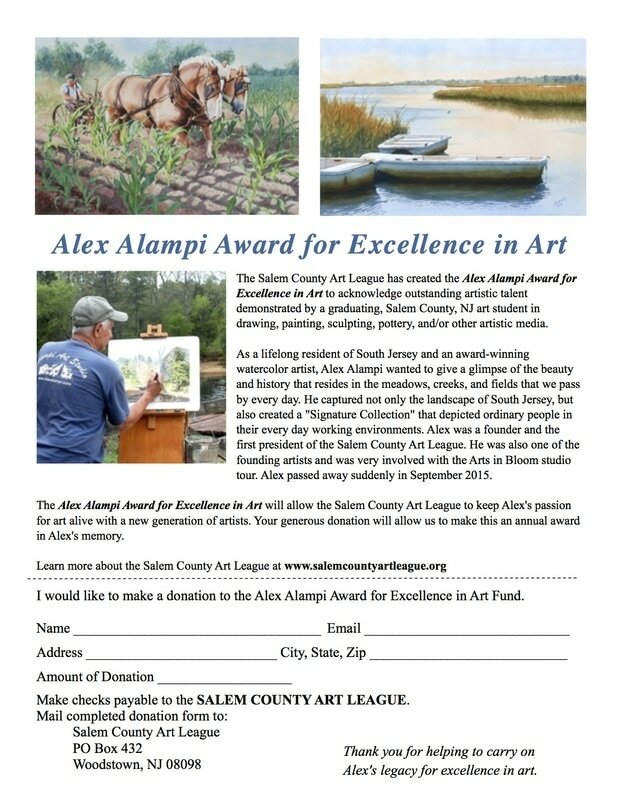 If you would like to make a donation to the Award fund, you may send your contribution to the Salem County Art League, PO Box 432, Woodstown, NJ 08070. Thank you for helping SCAL acknowledge Alex's contribution to art and the art community in Salem County by encouraging young people interested in art to pursue that interest. SCAL hopes to make this an annual award thanks to your generosity. Click here for a printable form. The "Print" link is in the upper right corner when the form displays on the screen.